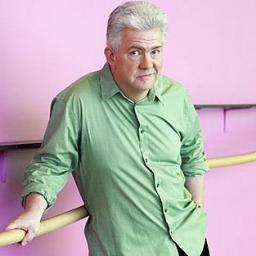 The Verb is BBC Radio 3’s ‘Cabaret of the Word’, presented by Ian McMillan. Each week the programme brings together award-winning writers; poets, songwriters, novelists, dramatists and performers from around the world. I love short stories, and I read new ones all the time for The Verb and for pleasure (although, as I know really, they’re both the same thing). There are certain favourites, however, that I return to again and again because no matter how many times I read them, they always reveal more, teach me more, make me gasp once more at the beauty of their prose. One of my Hardy Perennials is John Cheever, the great American master of the form. Some people find Cheever a bit too lush, a bit too full of the sound of his own voice, a bit too self-amazed by the lofty cathedrals of his sentences; not me. I love the rhythm of them and the way they nudge the plot along as they dance. His story, ‘O City of Broken Dreams’ a morality tale about a family who move to New York because the father, Evarts Malloy, has been convinced that a Broadway producer is going to make a hit play out of something he’s written. As they’re waiting to meet the producer they take a trip to Radio City Music Hall to they see a show which Cheever describes in sentences so profound and sublime they make me put the book down and stare at the sky: ‘The stage show, beneath its grandeur, seemed to conceal a simple and familiar intelligence, as though the drafts that stirred the miles of golden curtain had blown straight from Indiana. The performance left Alice and Mildred-Rose distracted with pleasure, and on the way back to the Mentone, Evarts had to lead them along the sidewalk to keep them from walking into hydrants.’ If you know and love Cheever, do read him again; if you’ve never read him, you’ve got a treat in store. Another short story writer I often return to is the almost-forgotten writer of weird tales Edna W. Underwood. I think I first arrived at short stories from reading anthologies like the Pan Books of Horror Stories, New Writings in SF, and the Alfred Hitchcock Presents series, and I came across Underwood via Tartarus Press’s reprints of strange and obscure writers of the macabre. Her collection of uncanny stories Dear Dead Women was published in 1911; the writing has an intoxicating quality, a gushing flow of sensation that carries me along with it, even as I acknowledge to myself that if there’s a top to be seen, Edna will go over it: here’s a description of a the perfume of a flower-covered hill from An Orchid of Asia: ‘when it swept over him as he was dropping off to sleep, it bore him to a hasheesh world of visioned splendour. And the vision in its significance was always the same: He floated above a cataract more terrible and tremendous than Niagara; a cataract made, not of water, but of fantastic, angry flowers, which were being lashed by some power he could neither see nor comprehend, from one form of life to another – on and on.’ Phew! I’ll have to sit down for a minute! Two writers, two of many possible prose styles. And that’s why we love short stories on The Verb; they refresh the language, they offer us glimpses and epiphanies, and they make us want to sit down for a minute and/or stare at the sky. The Verb this week features new short fiction from Simon Rich, author of the story collections ‘Spoiled Brats’ and ‘The Last Girlfriend on Earth’. Fridays at 10pm on Radio 3.